The Cayman GT4 is one of this year's Must Have cars, in our eyes it's just about perfect. Tell me you can sit through this video without thoughts of calling your Porsche dealer tomorrow. But Porsche has traditionally been reticent to develop customer race cars based on the mid engine Cayman platform. You can figure out the reasons for that yourselves, for sure Porsche runs the most successful customer racing program on the planet, one they to want to add to, not cannibalize. 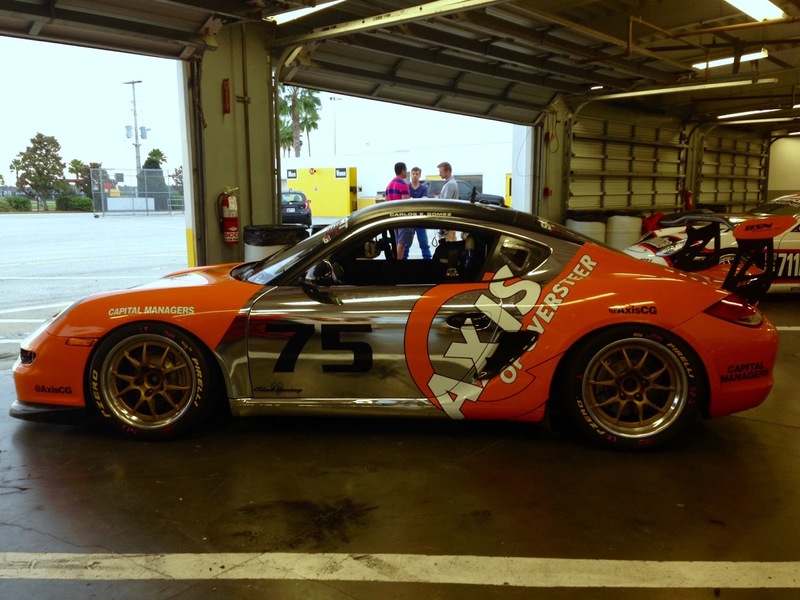 Enter GT4 a recently developed FIA category for what are effectively lightly modified street cars. 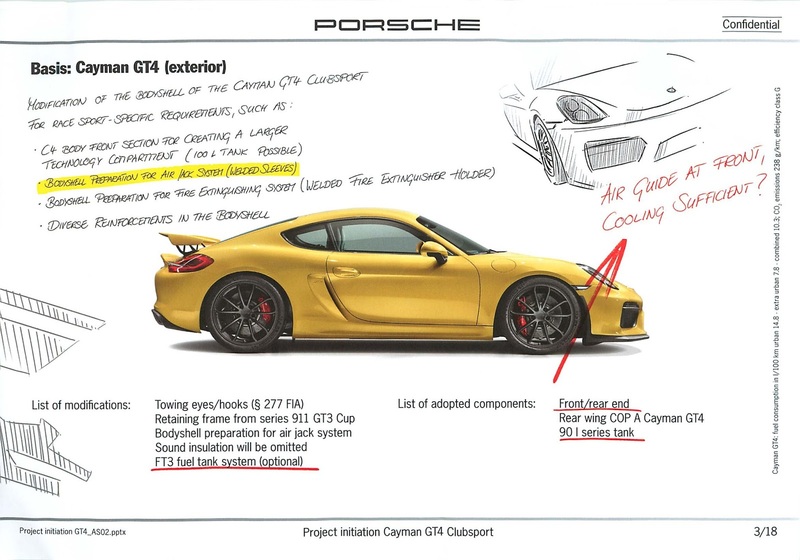 In the US the Cayman GT4 is being marketed for racing through the PCA (Porsche Club of America) but it will also be eligible for Pirelli World Challenge and Continental Tire Sports Car Challenge. Worldwide it will be eligible for GT4, VLN and 24 hours of Dubai and of course, 24 hr of Nürburgring. This document, a purported email conversations between Frank-Steffen Walliser, Porsche's Motorsport boss, Jens Walther, Motorsport boss in North America and Uwe Brettel, Director of Motorsport sales is, of course, not confidential but clever marketing distributed to prospective buyers and influencers. 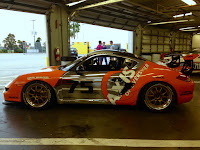 Axis was an early Cayman adopter with the Martini liveried car of a few years ago and now a new brand new Axis branded one which debuted at Daytona this month. A Porsche Cayman GT4 single make series will be run in the US by the Porsche Club of America with races at Road Atlanta, NOLA, Watkins Glen, Road America, VIR and Daytona. Prospective buyers are being asked to commit to two years of racing with PCA as a condition to purchase a car. At $15K per season, that is actually not much more than what current dealer markup for street cars is. Hopefully people will race them, not stash them away! Back to the "Confidential" . There are hints of keeping the GT4 manual transmission but Porsche is serious about this car so the Clubsport will have a modified PDK, because ...modern racecar. 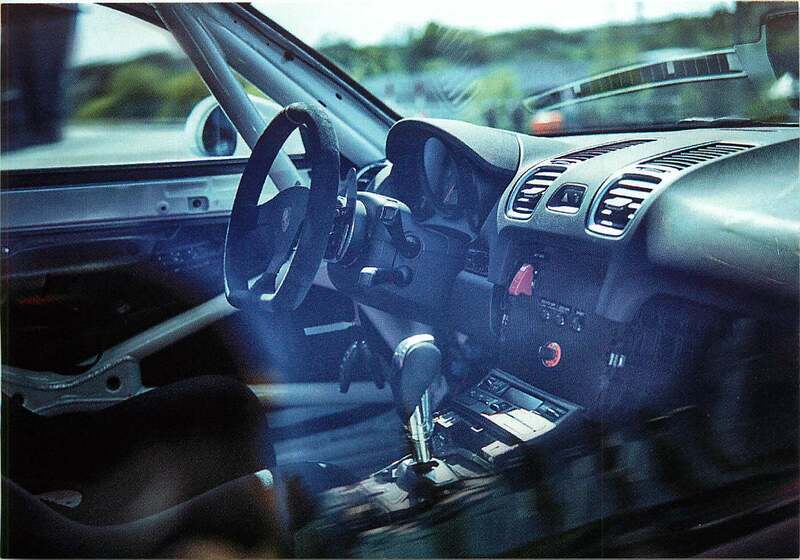 It would not be competitive in GT4, VLN and another series with an objectively inferior interface. Hopefully Porsche will have added sufficient transmission cooling , a weak spot in previous generation PDK Caymans turned into racers. Proper welded in cage, modified suspension geometry, rigid transmission mounts, 5 lug wheels rather than center locks. adjustable shocks. But also the ability to mount two seats, real glass, air conditioning and a catalytic converter. All is aimed at making the GT4 Clubsport as flexible as possible so it can be entered in all the targeted series and be competitive with minimal modifications. The Porsche GT4 Clubsport will be unveiled at the Los Angeles Auto Show in late November.